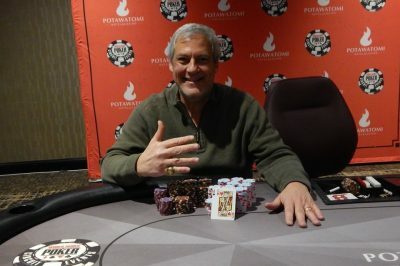 Last night, the retiree William Billot took hold of his first WSOP Circuit gold ring after emerging as the winner of the 2018/19 WSOP Circuit Potawatomi $400 Monster Stack event. Apart from that, the player also scooped a $41,513 cash prize after defeating 598 other entrants and was crowned as the winner of the event. It took Billot two days to emerge as a victor from the large starting field. 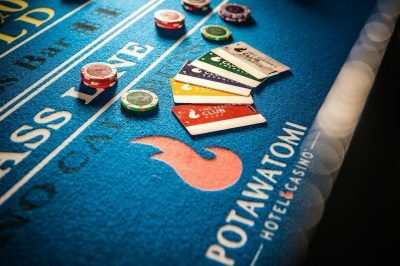 This year, the Potawatomi stop of the WSOP Circuit gathered a total of 599 entrants in the $400 NLHE Monster Stack event, who accounted for an overall prizepool of $198,670. Of that massive entry field, only 27 players were left to return for the second day of the event at the end of Day 1. The 58-year-old Billot started Day 2 seventh in chips, with an average stack and managed to survive until the unofficial final table. At the time when this happened, Billot was once again holding an average chip stack. The victory is by any means the best live poker performance of Billot so far. Before taking down the NLHE Monster Stack event at the Potawatomi stop of this season’s WSOP Circuit, the player’s overall winnings amounted to a little over $18,100. As mentioned above, William Billot started Day 2 as one of the twenty-seven players who survived the large competition during the first day of the event, with him being in the upper half of the pack, with 723,000 in chips at the time. The unofficial final table saw only ten contestants remain. At that time, it was Mark Oushanna who was leading the pack with a chip stack of 2,600,000, followed by Cheryl Choon with 2,345,000 in chips. William Billot was in the second half of the unofficial final table ranking, with 1,295,000 in chips. Eventually, the 58-year-old retiree managed to make his way to the final table, where he faced tough opposition. The rest of the players were eliminated one by one until it was only Billot and the two-time gold ring winner Cody Brinn left. Unfortunately for Brinn, he did not succeed in making a comeback at this stage of the game, so not long after the beginning of the heads-up play Billot emerged victorious and was crowned as the champion of the Monster Stack event. With William Billot emerging as the winner of the 2018/19 WSOP Circuit Potawatomi $400 NLHE Monster Stack event, taking home the event’s trophy his first Circuit gold ring and a prizepool cash portion of $41,513, Cody Brinn remained at the runner-up position. He received $25,675 for his efforts. Todd Sladek took the third place, scooping a monetary prize of $18,775. The fourth position in the final table ranking was occupied by Cheryl Choon, followed by Larry Beilfuss. Cero Zuccarello remained sixth, while Paul Elfelt and Darin Utley got seventh and eighth, respectively.